Thanks to XOSAN, you can dramatically improve your storage performance on your XenServer hosts, without any new hardware to buy and with only few clicks. Cheap hardware with high performances? No extra hardware used, no external NAS or SAN, just the hyperconverged software XOSAN solution. All hosts are XenServer hypervisors able to run VM but also member of the XOSAN storage. Note: XenServer is installed itself on the HDD, using around 60GiB on 1TiB. It's not a problem to use the same disk with the remaining space for XOSAN. You don't even need to buy new disks! Configuration is in Disperse 5, it means if one host is down, it will continue to work (read AND write) without any service interruption. And using 80% of the total disk space possible! (4TiB available on the 5x1TiB disks). But now, let's talk about performances! 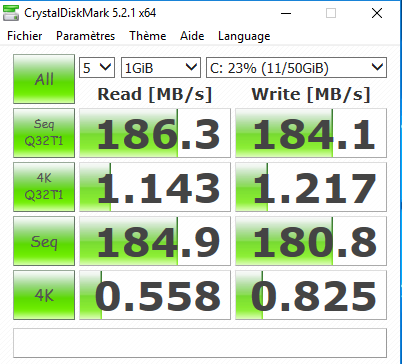 We want to compare XOSAN performances against using the local HDD, obviously on the same VM. Do we have to pay a performance penalty to have flexibility and HA? Let's check this! FIO benchmarks are clear: XOSAN is faster. What about more real load or apps? We made benchmarks using Phoronix Test Suit, which is perfect to make quick benchmarks on various applications. It will also help us to learn a bit more of XOSAN potential trade off. A first trade off? XOSAN is 5% behind local disk, maybe because working on a lot of small files? Both systems are on par while unpacking a tarball. This is interesting: despite there is a lot of small files, there is no performance impact for XOSAN! While using PostGres in "heavy contention", XOSAN is outperforming local disk a LOT, both in read and write mode. But that's not all. We also planned to add new features in the coming month: tiering. It will mean we could add "small" SSDs for hot files. In other words, to go even faster than our current benchmarks. XOSAN is already available in Beta phase II. So you'll be able to test it on your existing XenServer infrastructure :) You can register to the free beta following those simple instructions. Holidays are over and it's release time for Xen Orchestra. The version 5.12 has landed and you can now update your XOA.